One of the most highly acclaimed and reliable passenger car maker in the country is Mahindra and Mahindra Limited. They are among the top automotive manufacturers, distributors and exporters in the Indian car market. Their stable is fearsome and is filled with some of the best selling utility vehicles in the Indian car market. 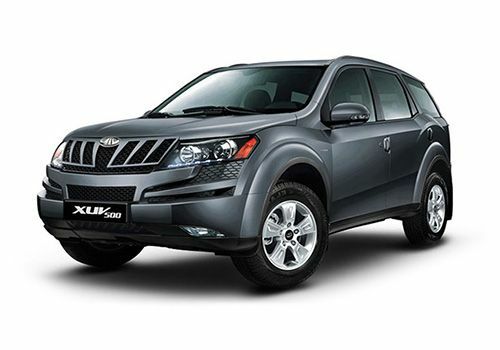 The Mahindra XUV 500 SUV is one such excellent SUV from their fleet and has been doing incredible business in the country, since the time it was launched. This SUV is being offered in three different trims of which there are two trims with a two wheel drive (2WD), while the top end trim in this model lineup is an 4-wheel drive (AWD) option. The Mahindra XUV 500 W8 4WD has been loaded with some of the best in class safety and comfort features. The company has done up the exteriors and the interiors of this SUV with style and it is certainly enticing the Indian customers into buying it. The company has fitted this top end SUV with a 2.2-litre mHawk, direct injection diesel engine, which is equipped with a VGT (variable geometry turbocharger) and can displace 2179cc. This dominant diesel engine has the capacity to deliver 140bhp in combination with a whopping 330 Nm of maximum torque. This engine is skillfully coupled with a 6-speed manual transmission gear box and has the competence to reach a top speed of 175 kmph. This trim gives a mileage in the range of 12 to 15.1 kmpl in standard conditions and can reach from 0 – 100 in just about 12.5 seconds. This variant has some top of the line features as well like cruise control, a sophisticated audio system with mounted controls of the power steering wheel, Bluetooth connectivity with phone controls on the steering along with other voice command switches as well. The company has given this trim some very distinctive features and captivating exteriors. The front fascia is stylish with large headlamps that are shaped distinctly along with a modish radiator grille, which has a lot of chrome treatment and a prominent logo of the company embossed on it. The front body colored bumper is broad and masculine with a wide air dam in the center, which is flanked with a pair of radiant fog lamps. The rear end of the SUV is edged out well with stylish and chic tail lights. Some other important and useful features are halogen headlamps with multi reflectors and LED turn indicators , which provides a very clear vision to the driver during the night time. The side profile of this SUV is as bold as the front and rear with body colored door handles and external rearview mirrors. The wheel arches have been equipped with a set of classy 17 inch light alloy wheels, which have been further equipped with tubeless radial tyres of P 235/65 R17 that have a superior road grip on any terrain. The overall dimensions of this SUV are rather spacious and can take in seven people with ease. The overall length of this SUV is 4585mm along with a total width of 1890mm, which also includes the external wing mirrors. This SUV has a total height of 1785mm and a roomy wheel base of 2700mm. The approximate gross weight of this SUV is 2450 Kgs, while it has a minimum turning radius of 5.6 meters along with a centrally mounted fuel tank that can take in close to 70 litres of diesel. On the inside, the interiors of Mahindra XUV 500 W8 4WD are top class and has a mix of luxury with advanced technologies. The skilled craftsmanship of the company's designers can be seen in the premium leather upholstery for the seats, which makes the ambiance airy and delightful. The dashboard design is very attractive, while the dual tone theme on the inside just perfects the entire interiors. The centre console is fitted with infotainment console that has many technologically advanced features. The AC vents here is in half rectangular design and the red illumination on the ergonomic panel makes the interiors of this SUV more enhanced and amplified. A hint of chrome on the gear knob and steering wheel leaves you speechless. There is also some wooden finish on the centre of the dashboard that is complimented by an instrumental cluster that is lightened well. The storage places in the front cabin have been designed well, keeping in mind the high class aesthetics. The company has equipped this SUVwith a 2.2-litre, mHawk diesel engine, which has a variable geometry turbocharger that promises high class performance. The engine has 2179cc of displacement and is capable of churning out maximum power output of 140bhp at 3750rpm along with maximum torque of 330Nm at 1600 to 2800rpm. This engine is further mated with a very inspiring 6-speed manual transmission, which helps the SUV to deliver excellent performance on road. The trim is capable of touching the 100 kmph speed mark in 12.5 seconds and has a top speed of 175 kmph. Talking about the mileage and fuel economy, the engine of this SUV is fuel efficient and can easily generate 12 kmpl of mileage on the city roads and 15.1 kmpl of fuel efficiency on the highways. The braking and handling of this SUV is very impressive. The braking system of this vehicle is enhanced by the presence of disc brakes for the front and rear wheels along with an ABS (anti lock braking system) as well as an EBD (electronic brake force distribution system) and brake assist. The handling of this SUV is further enhanced with its superior suspension system, comprising of McPherson strut type of a mechanism with an anti roll bar for the front axle, while the rear axle gets a multi link type of a mechanism with a similar anti roll bar as well. The comfort aspects of this vehicle are far more superior and top class. There are plenty of storage spaces like can holders, bottle holders, glove box, magazine holders make the ride more comfortable. The front and rear center arm rests are covered in leather to provide added comfort, while the panelized accessory space is very attractive. The seats of this SUV are spacious and very comfortable and give ample leg room along with pertinent head and shoulder support to the passengers. The thigh support with extra elevation for the back adds to the luxury of the passengers. Besides the seats, this trim comes with ample boot space, which has the ability to take in a lot of luggage for longer journeys. The other standard comfort features comprises of a proficient air conditioning system with rear AC vents and automatic climate control, power windows, a multi functional power steering wheel with audio controls mounted on it, advanced CD/MP3 player with radio FM and USB interface, Aux-in and Bluetooth connectivity , cruise control and parking sensors. The list of these safety aspects include airbags, ABS , EBD, BA, crash sensors, keyless entry, central locking system, day and night rear view mirror, rear seat belt, and engine immobilizer. All these put together makes this massive SUV, one of the most safe and secure vehicles in its own segment. Pros: Rugged and masculine exteriors, interiors equipped with sophisticated features, a commanding engine. Cons: Mileage can be better, engine noise can be reduced, expensive price tag.